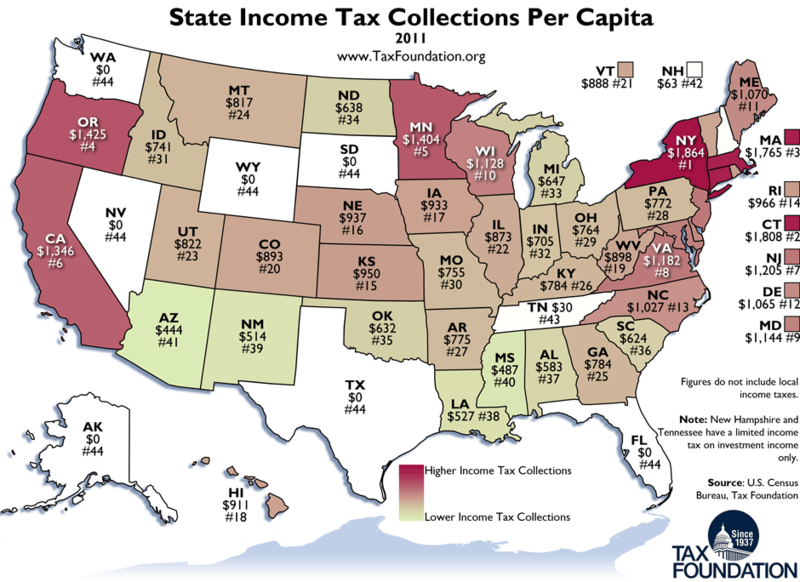 Today's Weekly Map looks at state income tax collections per capita, for calendar year 2011. New York State, with its high marginal tax rates and wealthy tax base, collected the most – an average of $1,864 per resident. At the bottom of the list are seven states with no state income tax – Alaska, Florida, Nevada, South Dakota, Texas, Washington, and Wyoming. Arizona collected the least income tax per capita ($444) of states that levied an income tax on wage income. View previous weekly maps here.